Target of opportunity follow-up of transients with radio facilities is for the most part a manual affair, and as a result radio follow-up observations are not normally obtained until hours or even days after an initial discovery in another waveband. ALARRM is a uniquely long-running fully automated radio response programme, jointly operated between the 4PiSky group and the MRAO team at the University of Cambridge. The ALARRM programme allows AMI to robotically trigger on Swift BAT detected transients. The majority of these transients are gamma-ray bursts (GRBs) but Swift also detects gamma-ray events from other interesting objects like flare stars, X-ray binaries and magnetars. AMI is capable of being on target within 2 minutes after the Swift trigger and we continue to monitor many of our targets with AMI up to 2 months post-burst. See the 4 Pi Sky Live Targets page to see which transients AMI is currently following. Due to the success of the ALARRM follow-up of Swift transients we are now expanding the programme to include the robotic triggering of AMI on optical transients. We have recently joined forces with the Intermediate Palomar Transient Factory (iPTF), which is a programme designed to survey large areas of the night sky allowing the discovering of many optical transients including supernovae, GRB afterglows, tidal disruption events, flare stars and cataclysmic variables. Recently the iPTF team detected the optical counterpart to the Fermi GBM detected GRB 140808A, iPTF14eag. ALARRM was triggered on this candidate and continued to monitor this event for up to a month post-burst. The radio counterpart to this GRB was detected with AMI at 10.6 days post-burst resulting in a successful outcome from our first collaborative efforts. 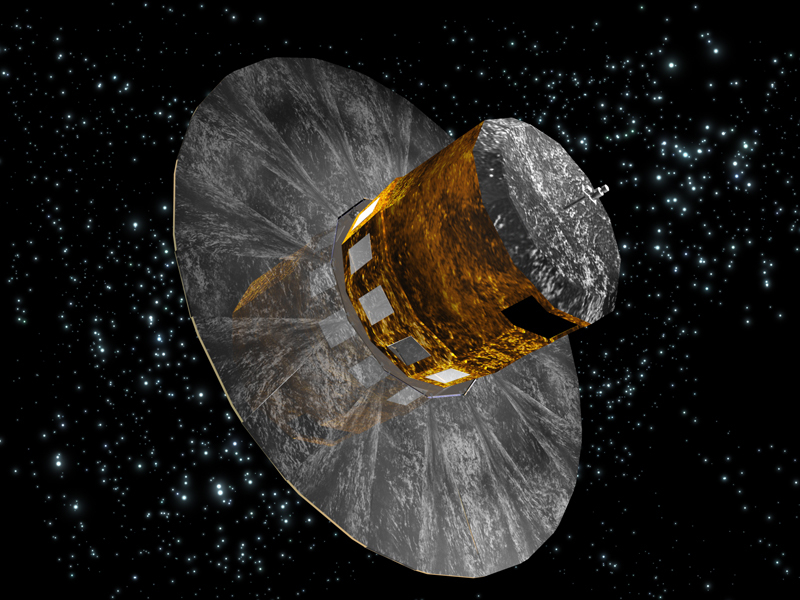 The European Space Agency Milky Way survey mission GAIA will soon be releasing public optical transient alerts. GAIA may detect up to several hundred new optical transients every night, which provides us with another invaluable database of optical transients that ALARRM could trigger on in the future. ALARRM triggering and follow-up radio observations will focus on objects such as flare stars as well as rare optical transient events such as tidal disruption events and orphan GRB afterglows. The LOFAR Radio Sky Monitor (RSM) is one of the deepest, largest-volume, multi-epoch surveys dedicated to finding low-frequency transient objects ever performed. It involves regularly mapping a large strip of the sky, centred on zenith (a declination of +53 degrees), in an observation that lasts 24 hours. Thousands of radio sources are detected over the full field of view, which is 1500/4000 deg2 using the LOFAR HBAs/LBAs, respectively. As of October 2014, a total of twelve complete Zenith scans have been recorded, at cadences ranging from months to one year. An example of a small, ~35deg2, portion of the RSM. As part of the MSSS survey (Heald et al. 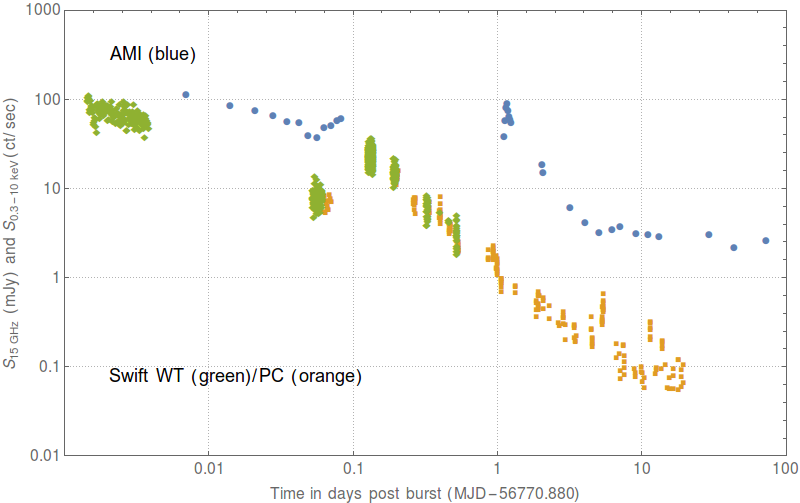 in prep) during 2011-2012, a total of 2609 snapshot observations were taken of the North Celestial Pole (NCP) in a search for transient objects. These were performed using the LOFAR LBAs at 60 MHz covering 1752 of sky, and provided an intriguing transient candidate (Stewart et al. in prep). Since then the NCP has continued to be monitored with various, much deeper, observations taking place throughout 2014, in an attempt to discover more transient events. 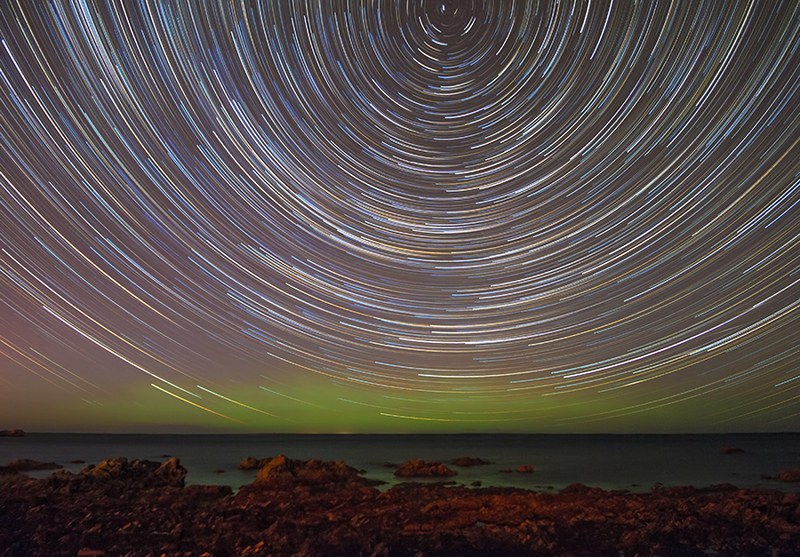 With a long exposure, the North Celestial Pole can be seen as the central point of the circular star trails. Photo credit Kris Williams (CC BY-NC-ND). The COSMOS HI Large Extragalactic Survey (CHILES) is a project using the JVLA, centred on the COSMOS field, to produce the first HI deep field covering a redshift range from z=0 to z=0.45. The project offers deep, multi-epoch observations and 4 Pi Sky will be involved in searching these data for transient events with the TraP software. The COSMOS field is also widely covered by other wavelengths (for example the Pan-STARRS project) and 4 Pi Sky will also observe the field concurrently in the optical waveband using the Liverpool Telescope. Please refer to Fernandez et al. (2013) for more information on CHILES. The VLA Telescope. Credit NRAO.